"This five-acre Phoenician estate in Paradise Valley began as native Sonoran desert sloping with the base of the mountain. 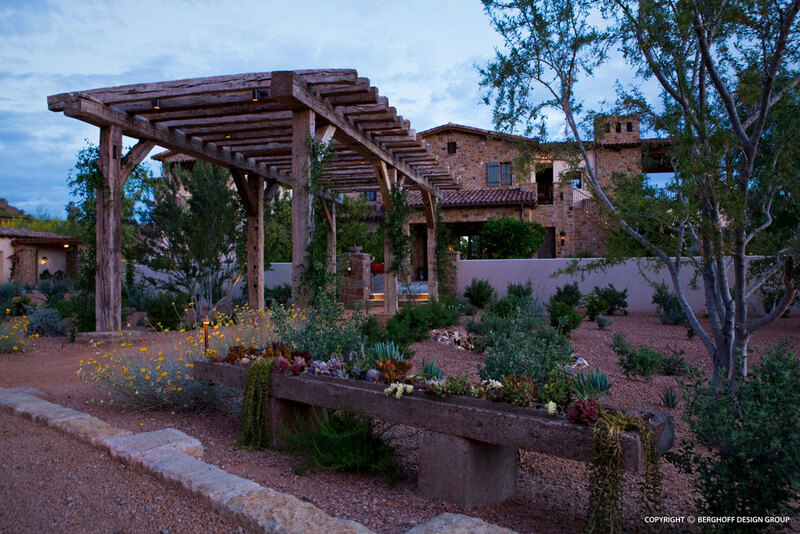 The property respects its history by utilizing native plants conserved from the natural desert. The expansive green lawns, lush courtyard spaces and a pool blend with the desert, the transition navigated by winding walking paths and walls. Seamless transitions between the varied areas are maneuvered with use of unique pots and plant colors. Garden artifacts and antique stone collection pieces were hand selected to bring details out into the garden. The space mirrors the Mediterranean-feel home in an oasis."